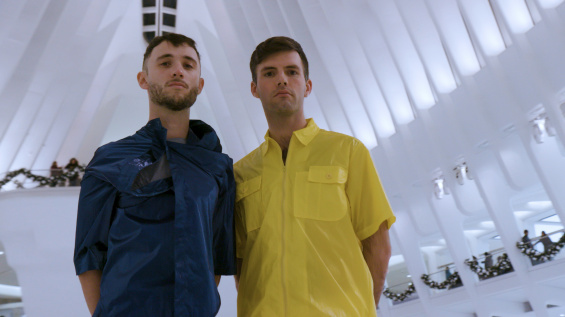 Join conceptual comedy duo Talk Hole (Eric Schwartau and Steven Phillips-Horst) at the Oculus at Westfield World Trade Center, a spectacular space designed by renowned Spanish architect Santiago Calatrava, for a special holiday activation. The evening will include performances by comedians Ayo Edebiri, Cole Escola, Lily Marotta, Eric Schwartau, Ruby McCollister, Alex Schmidt, and Steven Phillips-Horst, and music by Physical Therapy. This event is free. Seating is first come, first served. Please note this event takes place off-site, at the Oculus at Westfield World Trade Center. New Museum public programs are supported, in part, by public funds from the New York State Council on the Arts with the support of Governor Andrew M. Cuomo and the New York State Legislature, and from the New York City Department of Cultural Affairs in partnership with the City Council.